At Maxitech one of our focused domains is corporate innovation. Why? First, because we are a startup inside a corporation. We know the dynamics, needs and challenges of corporations and also the dynamics, needs and challenges of being a startup. 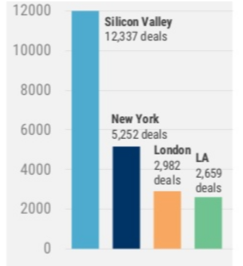 Second, because we are in Silicon Valley, we interact and work with many startups that are changing entrenched businesses and disrupting the status-quo. This gives us the opportunity to witness the technology trends first hand. Before explaining our unique approach on merging corporate and startup worlds, let’s look at some important concepts in corporate innovation. Coined in 1995 by Harvard Business School professor Clayton Christensen, “Disruptive Innovation” describes a process by which a product or service initially takes root in simple applications at the bottom of a market — typically by being less expensive and more accessible — and then relentlessly moves upmarket, eventually displacing established competitors. Disruptive Innovations are NOT breakthrough technologies that make good products better; rather they are innovations that make products and services more accessible and affordable, thereby making them available to a larger population. Christensen says that as companies tend to innovate faster than their customers’ needs evolve, most organizations eventually end up producing products or services that are actually too sophisticated, too expensive, and too complicated for many customers in their market. Companies pursue these “sustaining innovations” at the higher tiers of their markets because this is what has historically helped them succeed: by charging the highest prices to their most demanding and sophisticated customers at the top of the market, companies will achieve the greatest profitability. However, by doing so, companies unwittingly open the door to “disruptive innovations” at the bottom of the market. The diagram contrasts product performance trajectories with customer demand trajectories. 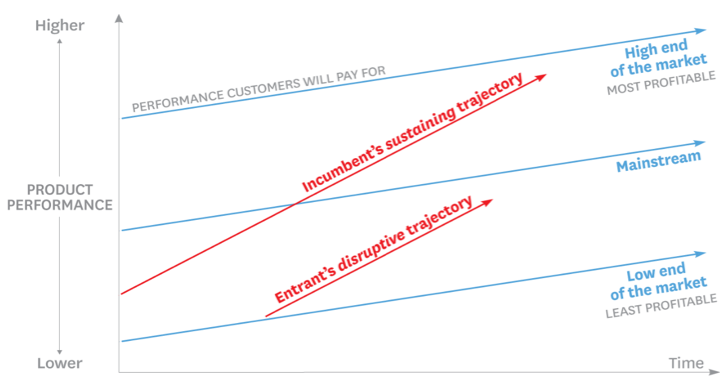 Entrants on a disruptive trajectory (the lower red line) improve the performance of their offerings and move upmarket and challenge the dominance of incumbents. So, basically the disruptive innovation concept tells us that if corporations fall the trap of comfort that comes with being a big player in a certain market and do not bother to innovate, eventually a competitor — most probably a startup- will come up with a better product or service with affordable pricing and disrupt the market. Open Innovation model suggests that valuable ideas can come from anywhere: inside or outside. 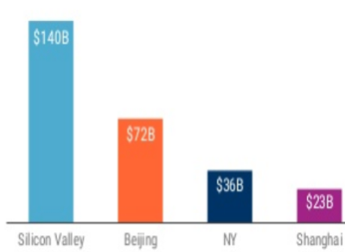 Corporations need to collaborate with universities, startups, other corporations even competitors! 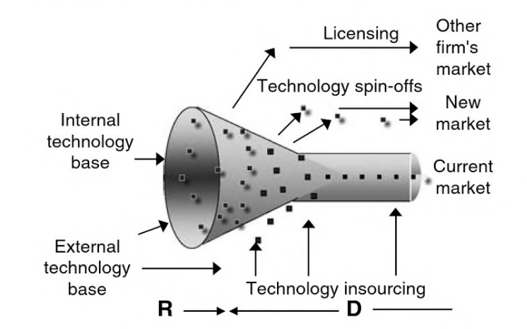 According to the Open Innovation model by Dr. Chesbrough, corporations do not have to isolate themselves in their R&D laboratories and try to do everything by themselves which refers to a closed innovation model. Instead, the Open Innovation model suggests that corporations will be more innovative when they work with other players of their ecosystem.